Not For Your Eyes Only…A Surprise Use for Visine! 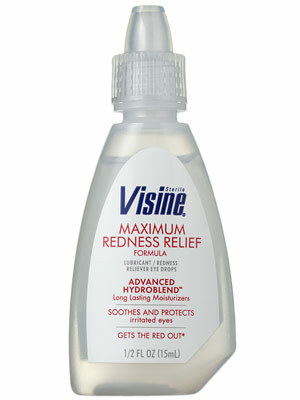 Did you know that Visine can be used for more than its intended purpose? The active ingredient Tetrahydrozoline, which brilliantly gets the red out, will also (SURPRISE SURPRISE!) get the red out of pimples! A few drops on a q-tip, applied to your blemish will make your pimple all but disappear!